It’s a fact of life. Crime happens and people’s lives are put in danger. A few nefarious people decide to wreak havoc at the expense of others. Emergencies occur that we cannot control. Event logistics leave too many potential security breaches. Although there is nothing we can do to completely eradicate these types of threats, we can take some action to prevent danger and lessen security issues. Obtaining private security services is one of the most effective ways you can decrease your risk and protect what matters most. Off Duty Officers leads the pack when it comes to providing cutting-edge private security services. We supply our clients with highly trained and exceptionally experienced security guards. Our guards include off-duty and retired law enforcement and military personnel who have unparalleled skills and training. From basic guard patrols to workplace violence mitigation, Off Duty Officers specializes in giving clients customized security solutions at an affordable rate. To always achieve a higher level of performance. To partner with clients by providing highly-trained law enforcement personnel. And to utilize state-of-the-art methods in the most cost effective and confidential manner possible. You may be wondering which types of businesses need private security services. Our answer: any business that has assets that need to be protected. Off Duty Officers has contracted with businesses of every size and across all industries. Any business owner or property manager could benefit from the presence of competent and reliable security guards. After all, the time and expense of training your own security staff is more than most businesses can afford. Private security services provided by Off Duty Officers allow you to take care of business with the peace of mind that comes with knowing that your business is protected. Although many of our clients opt for full-time or even around the clock security, many others do not need that much protection. At Off Duty Officers, we work with you to determine the type and amount of private security that will adequately meet your needs. 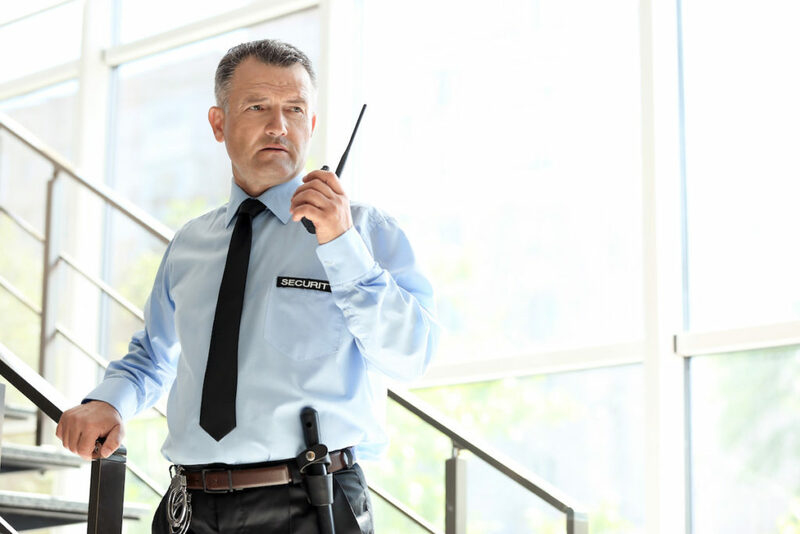 We offer a variety of private security guard options, including armed and unarmed guards, uniformed or plainclothes guards and temporary or long-term contracts. Our services are tailored to meet your needs. Contact us to learn more about the security solutions we can offer. We don’t just stop there. At Off Duty Officers, we pride ourselves on providing ample opportunities for ongoing training and support for our private security guards. Guards are held to strict standards and supervised to ensure that clients are always getting the protection that they need and deserve. Our private security services far surpass those of our competitors- and we have the reputation to prove it. Off Duty Officers has been dedicated to serving clients with professional private security services since 1993. We provide our clients with the right services to meet their specific needs, all with a commitment to honesty and professionalism. Our solutions are tried-and-true and our guards represent the most experienced, qualified and reliable personnel in the industry. Off Duty Officers requires all of our private security guards to complete intensive training that is constantly updated to reflect the latest in technology and best practices. When you contract with Off Duty Officers, you can rest easy knowing that your business and people are in good hands. Do you need the best in private security solutions for your business, residential community, private party, corporate event, trade show or property? Do not wait. Contact Off Duty Officers today for your private security quote. Our specialists are standing by to help you identify your unique security needs and develop the optimal security solutions to protect your valuable assets. Contact Off Duty Officers today to start securing your business, property or event.